Wipe your feet and hold your ears - WrestleCrap has gone audio! 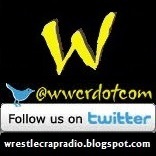 Now you can join RD and Blade each and every week right here on WrestleCrap Radio. Our files are in MP3 format, so you can download them to your computer, your iPod, or wherever the heck else you want! 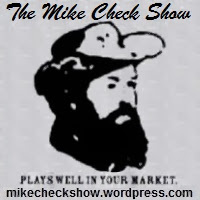 We're also podcasting so you can do that as well if you're so inclined. Enough blabbering - get to clickin'! Oh, and don't forget to send those mailbag queries rightchere! Blow your nose and shield your eyes - WrestleCrap Radio has gone text! Now you can join Premier Blah, iggy, Clarence Mason, R.V.M. Kai, Raging_Demons, and Erik Majorwitz whenever we feel like it right here on WrestleCrapRadio.com. Our text is in a nice font, so you can read the words clearly on your computer, your iPad, or wherever the heck else you want! We're also giving you the old episodes so you can listen to them as well if you're so inclined. 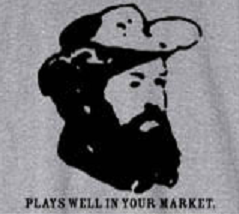 Enough ramblin' - get to clickin'! Oh, and don't forget to send those "why are you wasting your lives like this" queries rightchere! During episode #097, RD & Blade disagreed over whether Blade liked Linda Hogan's milk. For some reason, an anonymous man named iggy decided to recap every episode, as he knew of no records of past WrestleCrap Radio progrems, and because he has too much time on his hands. 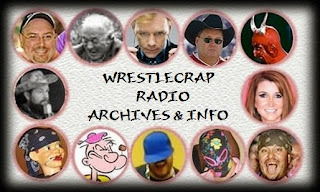 This terrible site was unveiled on April 1, 2008 as wrestlecrap.blogspot.com. Months later, iggy offered up the role of official recapper to another mysterious man, Premier Blah. Given full reign of the site since episode #122, the Premier had been cursed with the unrewarding task of recapping episodes until the show was mercilessly put out of its misery 87 episodes later (#209). The thought of surpassing the radio progrem gives little solace, however. In January 2010, the Premier roped the legendary Clarence "Showstealer" Mason into writing a regular opinion column, Random Notes from the Office. In September 2011, iggy spruced up the site, created the Minisodes, and brought in R.V.M Kai & Raging_Demons to help update some sections. Oh, and Eric Majorwitz snuck in here sometime. Nobody seems to know when. 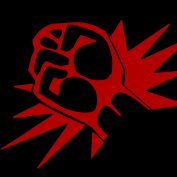 Angry Marks Dot Com | Subscribe to the RSS Feeds! The WrestleCrap fonts are Mushu and Scrawlin. iggy primarily uses MS Paint because he can't figure out GIMPshop. He stole the layout from the Lifetime Network.